Master Precision's offshore services have been established to assist companies in reducing their development costs by providing quality tooling built overseas at a substantially reduced price. Master Precision has a long history of designing and building the highest quality injection molds in the world. Our technical expertise in part design, mold building, and processing has made our company well known in the difficult field of two-shot injection molding. The systematic attention to the details of the mold build process ensures the quality of our molds. That same detail-oriented system allows us to provide customers with a safe way to reach the value of manufacturing molds in a foreign land. In some cases, cheaper foreign molds are not the same high quality as their domestic counterparts. It is a fact of business that in some instances cost overrides quality to achieve project goals. Therefore, having quality tools made overseas can be a satisfying solution. By tapping into the global market for tool manufacturing you can get a very high-quality injection mold at a very reasonable price. This competitively priced tooling could be the advantage that puts you ahead of your competition. There is a greater risk in buying molds in Asia. You can avoid that risk by buying Asian tools from Master Precision Global. We have put our expertise into locating, auditing and selecting the best mold makers for tooling imported into the US. Approximately 85% of all molds built in China are for their own domestic molding market, which has substantially different quality standards than we are used to. 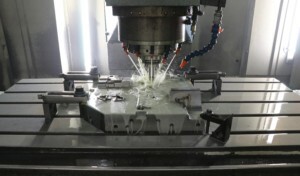 In Chinese manufacturing, it is expected to build many molds for the life of a project. We build one mold and build it to last. The right shop understands our quality expectations. Under our direction, the mold shops build tools for the North American market. With Master Precision Global you are assured to stay away from substandard mold shops. And with us, you are given local service for your engineering changes and periodic repairs. We will keep you in production after you take possession of your mold. Challenge us. Tell us when you need it. Our normal turnaround for a quotation is 24 to 48 hours, but if you need it faster we will do it. Our ISO 9001 quality system will make sure that through every phase of the tool build your expectations are being met. The deliveries that we quote are very competitive. In most cases, we come in a few weeks before domestic suppliers even with oceanic shipping. Delivery lead times can be reduced with special expediting and airfreight. Time to market will always be a continuously improving focus of ours. You will be taken care of by one of our experienced project engineers who will be in charge of your tool build. In the quoting phase of the project, an analysis of manufacturability will be done to help fine tune designs. You will be provided mold drawings to review at your office or at our Greenville office. Upon your design approval, the manufacturing process will be kicked off to order steel. You will receive weekly program updates with digital photos if required. First, part samples will be next day aired to you for your review. The finished mold will be delivered to our shop for final inspection and pre-production maintenance. You will be given a full set of mold prints. We can also give you processing support if needed. All of this service is provided to you, in English, by project engineers, who you have access to 24 hours a day.